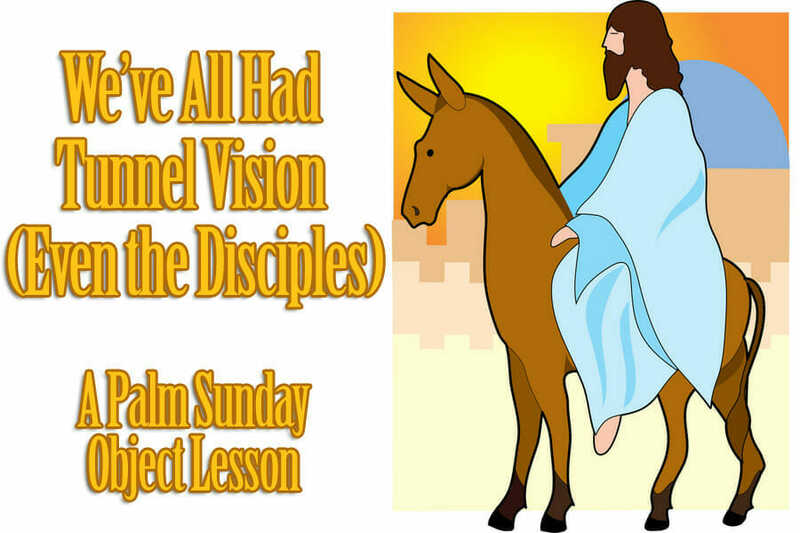 This Palm Sunday lesson will discuss the hope of the disciples on Palm Sunday at the Triumphal Entry. They wanted to rule Israel. They thought Jesus was entering Jerusalem to do just that. They had already been told their Prince of Peace would be killed. But they thought he would come back to life immediately and rule afterward. This lesson, using an empty gift wrap roll, will show kids what blessings can be missed when we follow the disciples’ example and exercise tunnel vision. They grew into souls with grand vision, and we can too! 1. Fill a good sized bowl full of candy. You don’t have to give it all to the kids today (might be a very bad idea!) and you can save most for other projects later. 2. Put the bowl out of sight – utterly hidden. 3. Take a half dozen pieces and put them in the center of the table. 4. Tell kids not to touch them. 5. Do not give each child a tube yet, as they will be a distraction. Watch the lesson for when to do that. 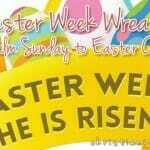 Important Note: Try to precede this Palm Sunday lesson with one of the YouTubes about Palm Sunday. Many are listed for all age groups. 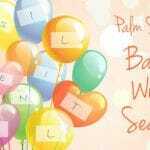 Pick one suitable to your students that will help them understand Palm Sunday. 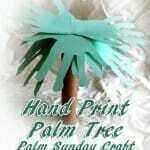 Who knows what Palm Sunday is? What happened on this day that had to do with Jesus? He entered Jerusalem on a donkey, and people laid palms down. Did you know that even Jesus’ disciples thought that Jesus would rule Israel and they would rule with him? Mark 10:35-45 tells us that on their way to Jerusalem for Palm Sunday, the disciples got in an argument about who would sit on Jesus’ left and right once he reigned. They thought they would be the royal court of a king of Israel. It is a great dream to be in a royal court. It is a great dream to help a king rule, especially one whose coming had been predicted more than 300 times in the Old Testament. Their dream was to be royal. Their dream was to be live in great abundance. Their dream was to be famous. Their dream was to be in a position of power. We would all like things like this. It’s a bit like this candy on the table. Wouldn’t everyone like to earn a nice, delicious piece? Take out the gift wrap tube; stick one eye to it, and close the other tightly. Let’s all try. Shut your one eye really tightly and look through your lens. See if each piece of candy becomes more clear. Do not touch the candy! Give out the tubes and let them try seeing the candy through it. It’s like each piece of candy on the table is a symbol of what the disciples thought was coming to them while they followed Jesus on Palm Sunday. As you pick up each candy below, get the children to try to stay focused on it through the tube. Pick up Candy #1: Let’s say that this piece of candy stands for power. Who wouldn’t like to have power in this world? Pick up Candy #2: This one stands for fame. Who wouldn’t like to be famous? Pick up Candy #3: This one stands for importance. Who wouldn’t want to be important? Pick up Candy #4: This one stands for royalty. Who wouldn’t want to be royal? Pick up Candy #5: This one stands for comfort. Who wouldn’t want to get everything they wanted and be comfortable? Pick up Candy #6: This one stands for admiration. Who wouldn’t want to be admired? The disciples had been told that Jesus would die on the cross. That confused them and got them disappointed. Then they put their heads together and came up with an idea. 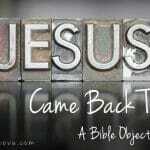 “He IS the Messiah. He DID say He would rise from the dead. So. After He does, THEN we’ll ascend with Him to rule Israel. Jesus entered Jerusalem on Palm Sunday. 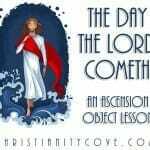 The disciples were on top of the world! Then Jesus was killed. Then He was resurrected. Then…40 days later…He was taken up to heaven. They were left down here to preach the gospel to stubborn people, most of whom would not believe, and would chase them around and be really mean. What kind of a deal IS that? It’s as if all their dreams were…. Take the pieces of candy and push them off the table onto the floor. Their dreams were no more. Or if this is any bargain, no human being could see it. Have students put the tubes back to their eyes. Tell them to use the tubes to try to find all the pieces on the floor without leaving their seats. Emphasize that they are just looking – otherwise they may bang heads, especially with something held to their eyes. Sometimes, we’re too busy looking for the wrong things. We’re looking for dreams that don’t really matter. The fact is…God can bless us…beyond our wildest dreams. Bring out the big bowl of candy. Let the students discover it with their tubes and then put the tubes away. The tubes are like our brain power while we’re here on planet Earth. We just can’t see things in the big way that God can. We had tunnel vision. The disciples had tunnel vision. They were focused on something small, compared to what Jesus really had in mind for them. They thought it would be awesome to rule Israel for forty-some years. Jesus thought it would be awesome for them to rule for all eternity, forever and ever. They thought it would be awesome if everyone in Israel knew who they were. Jesus thought it would be awesome for them to be known by all of mankind for hundreds and thousands of years. They thought it would be awesome to have comforts, like a couple of rooms in a palace. God thought it would be awesome for them to have streets of gold and to never shed a tear ever again. 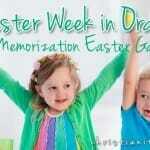 Do you have other favorite Palm Sunday lesson ideas and holiday-related activities that you would like to share? Tell us about them below! And don’t forget to Become a Fan on Facebook, Follow Us on Twitter and Come Hangout with Us on Google+!